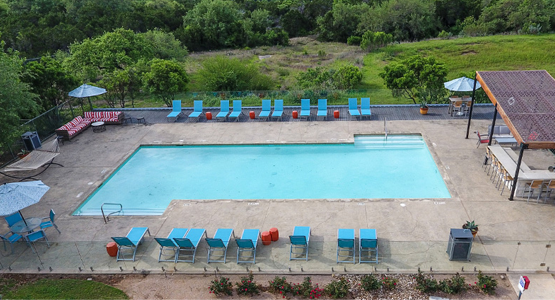 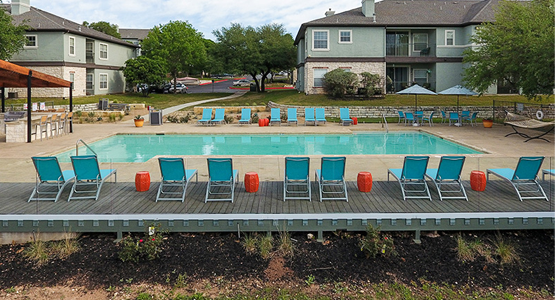 This renovation of the Riverlodge Apartments pool deck involved replacing the outdated iron pool fence with a frameless glass pool fence. 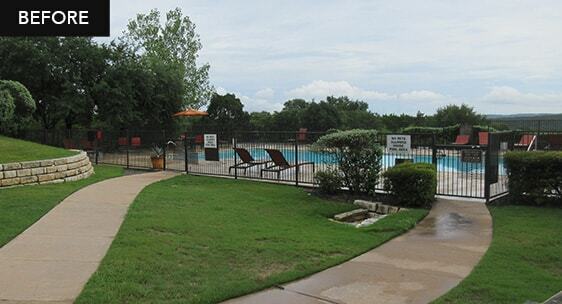 Our frameless glass pool fencing system was utilized on the concrete portion of the deck with a self-closing, self-latching gate for entry. 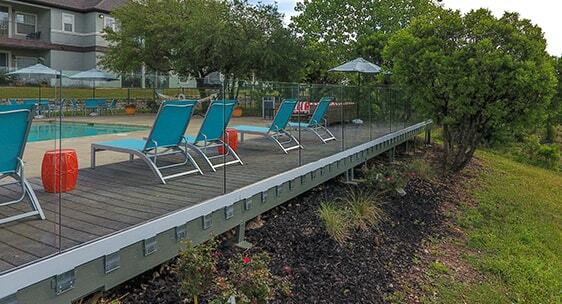 Our fully frameless glass railing was installed along the wood portion of the deck, allowing clear views of the lush Austin landscape. 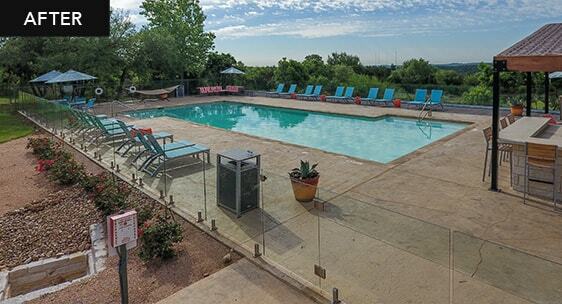 The glass enclosure lends an elegant, modern look to the newly renovated pool deck at this multi-family complex.